KIDNEY Island is a small detached piece of land off UTC junction in Port-Harcourt city of Rivers State. The Island was predominantly occupied by people of low income in what was usually referred to as the “water front”. But the water front inhabitation extended into the heartland of Okirika people. The government of Rivers State under the present Governor Chibuike Amaechi considered the Island and water fronts’ residential areas as slum and dangerous to human inhabitation. In addition to slummy status of the Island is the toll of insecurity to lives and property it was taking on the city of Port-Harcourt as the government believed that the slummy Island provided a safe haven to criminals and their activities. When the government came up with the proposal for the demolition of the slums, the predominant occupants of water fronts (Okirika people) protested against it. Fortunately or unfortunately depending on the side of the divide, the First Lady of the Federal Republic of Nigeria, Mrs Dame Patience Jonathan, is from the Okirika ethnic group of Rivers State. Okirika people saw the then proposal of Rivers government as an affront to them and subsequently reached out to their daughter, the First Lady for intervention. The First Lady intervened but her intervention was not enough to stop the governor whose mind appeared to have been made up and the slums on the Island were demolished with property owners being compensated. Whether the compensation was adequate or not is now a matter of logic and reality. This followed by the removal of Okirika Local Council chairman by the governor after he hosted the First Lady to a dinner. If the removal was based on the dinner or a mere coincident, still remains a matter of debate. At this point, political sycophants and vultures went to work and the issues were turned into ego, ethnic, personality, and positional fight. As it is in politics, one incident could prove to be a chain reaction depending on the texture of breed of people involved. Stomach is the easiest route to a man’s heart, they say, and wife is the easiest route to selling whatever you have be it idea, fight, favour or what have you to a politician. Rivers State water front demolition and sacking of Okirika Local Council chairman were relegated to the background and Amaechi’s Nigeria Governors Forum (NGF) activities were projected to the President as one coming from a ferocious, energetic politician armed with enormous treasury of the state at his deposal, consorting and collaborating with perceived political enemies of the president on 2015. This marked the beginning of Amaechi’s many battles. The political hawks in Rivers State, who before now were rendered jobless and lethargically lazy, sprang back to life. A lot of issues, actions and inactions combined to escalate what was supposed to be Rivers affairs out of proportion. President Jonathan’s silence was taken to be a tacit support for the band of politicians gunning for Amaechi’s head. They so much pummelled the governor until he started gasping for help from some of his colleague governors who considered him to be a victim of raw political show of power. 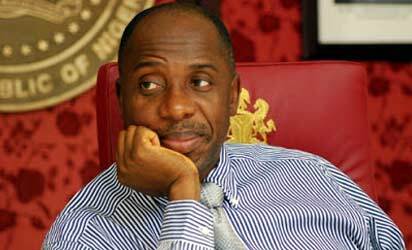 Amaechi’s loquaciousness did not help his case and his cabinet team helped in compounding the governor’s woes by running to the media to make inflammatory and injurious statements with expectations of public sympathy. The governor failed to realise the enormous power heaped on the Presidency by the constitution which automatically forces him (the governor) to fight from a losing ground. The shame we saw all over the social media which was popularly termed, “Rivers House of shame” was the height of the unnecessary political fight which took the drop of blood on the floor of the Assemble House to bring some level of sanity. There has been some concerted effort made for peace not only in Rivers State but NGF and PDP in general. Though the effort for peace has not yielded any result yet but the level of political damage already experienced in Rivers State is ticklish at the moment which definitely needs a tactical solution. The governor’s attempt to use the land dispute with Bayelsa State which contains oil as a rallying point for Rivers people to fight the Presidency failed. Akuku-Toru Local Council area of Rivers State has been in land dispute with Nembe Local Council in Bayelsa long before Amaechi became governor. The land in question contains crude oil wells which the governor’s camp tried to sell to the people of Rivers State, as an attempt by the President who is from Bayelsa to forcefully cede their oil wells to his state but the land dispute preceded both Jonathan and Amaechi. • Onochie is a political analyst in Port Harcourt.